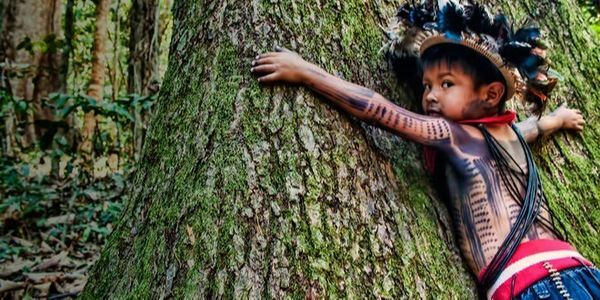 petition: Protect Brazil's 720 Indigenous Reserves! We, the global citizens of Earth, stand with the Amazonian native peoples in defence of their rights and homelands. We urgently request that the United Nations hold an emergency conference in order to establish a firm plan of action toward protecting the rights and lands of 720 Amazon native tribes. We request that the United Nations recognise the Amazon tribes-people as an independent nation from Brazil via e.g. a 'UN Treaty of Care' which strictly prohibits sale or development of those lands and for UN protection to all life inhabiting those lands. The Amazon people's are not of the corporate world presently dominating life on most of our planet. They have not contributed to, nor have they profited from, the wholesale destruction of our planet; the Amazon native tribes are among the purest and most innocent peoples on Earth. Bolsonaro has stated an intent to kill all who stand in his way. The peoples of the Amazon are facing a very serious and dire threat of genocide. Those native peoples cannot easily be relocated or assimilated into Brazil without suffering sickness, grief, alienation, doomed to poverty, abuse and discrimination. They have no weapons of war or arms to defend themselves from the corporate interests now keen to evict the people and kill the native wildlife, in order to exploit their resources for profit. We the global citizens of Earth, refuse to stand idly by and watch this horror unfold. We need to witness prompt action from the United Nations. The Guarani states: "If indigenous peoples become extinct and dead, the lives of all are threatened, for we are the guardians of nature. Without forest, without water, without rivers, there is no life, there is no way for any Brazilian to survive. We resisted 518 years ago, we fight in victory and defeat, our land is our mother. As long as the sun still shines, and while there is still fresh air under the shade of a tree, while there is still a river to bathe in, we will fight." Huge thanks for signing the petition to protect the Amazon and all of the life that flourishes there and not least, the 720 indigenous tribes for whom the Amazon is home. Please share the petition regularly; we hope to reach 1 million signatures by August this year: A handful of corporations cannot be allowed to destroy our planet's most vital living resource and natural eco-system. Sending you all Love & Strength for 2019!